Focal Point’s graphic design expertise is extensive. Our award-winning design work has garnered its fair share of recognition, but ultimately, it works — and that's what matters most. Leaving a lasting impression on our client's customers is how we measure its success. Combined with effective research and strategy, our graphic design services that include brand development, product packaging, and print advertising, helps drive the results our clients are looking for. Our highly creative and versatile design team are experts at developing collateral that not only looks dynamic, but also connects your brand and customers. 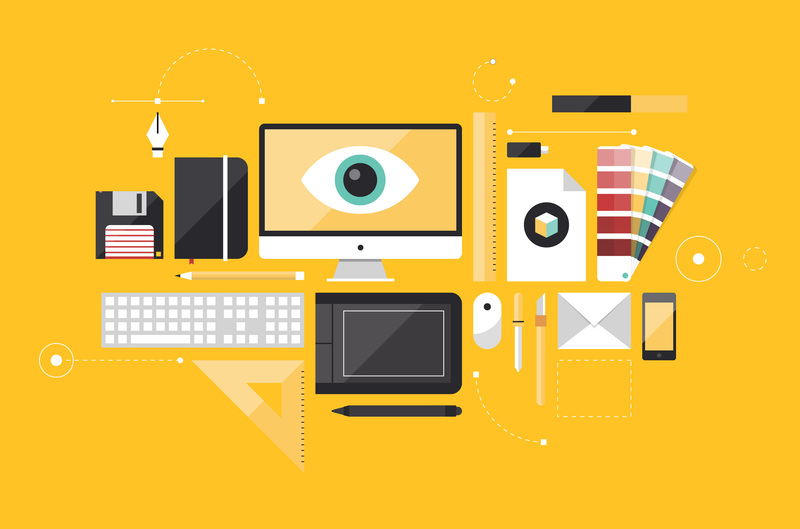 Graphic design has long been the term to explain the creation of imagery to enhance a brand or company. But that’s only the tip of the iceberg. By producing unique, mesmerizing visual concepts that are more than just “eye candy” – you develop tools that effectively communicate your message to your clients. When done well, these tools help represent and support your brand in the eyes of your audience. Let’s start with what a brand isn’t. A brand isn’t a logo. It isn’t the people that run it. 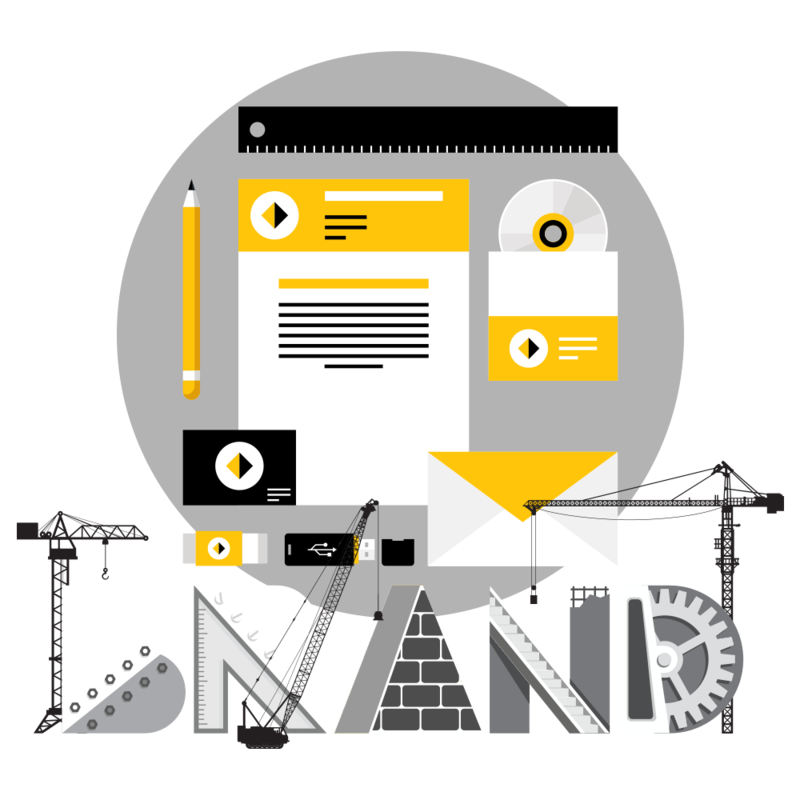 A brand is the combination of public perception and subsequent emotional responses to a business, its products and/or its services. It’s the conversation people are having about the business. It’s the memories and emotional connection you’ve built with your audience that makes them choose your product or service over a competitor. As a result, businesses are seeking new and more effective ways of increasing brand awareness and more importantly, creating brand loyalty. As graphic design translates to a variety of mediums, it comes to be known as brand collateral, and as the saying goes, you don't get a second chance at a first impression. 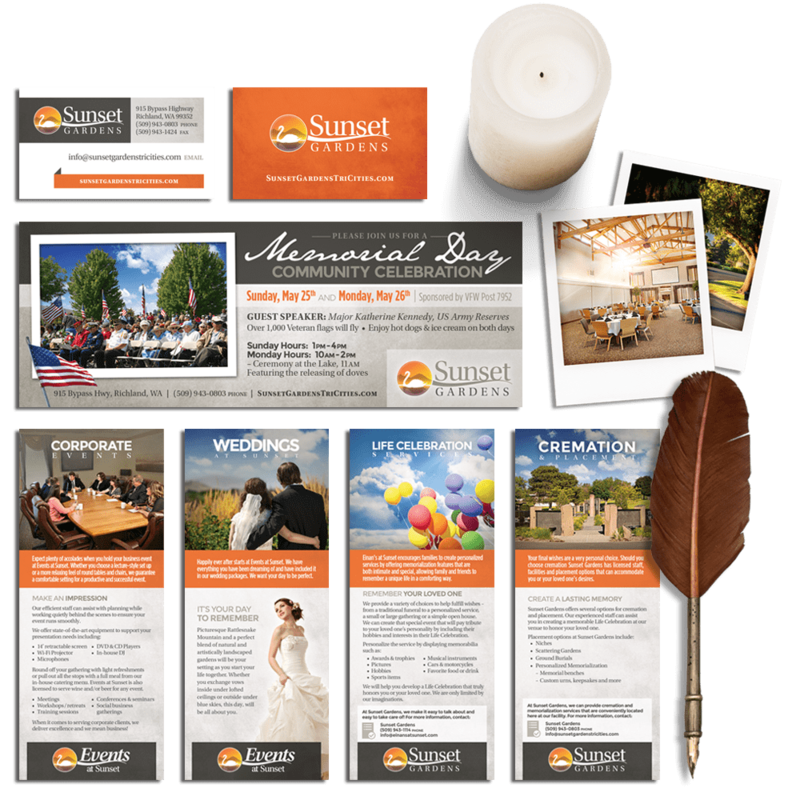 Impress your audience with stunning brochures, product packaging, posters, flyers, custom fonts, typography, and pretty much anything else your business needs to market itself. Our graphic design team excels at delivering award-winning collateral that is sure to make a mark on your customers. Our experience doesn't stop at business cards and brochures either, we've gotten pretty good at package design too. In a sea of bland brands on retail store shelves, attractive packaging can help give you a leg-up on the competition. Combined with a little bit of market research and strategy, and your products will be flying off the shelves in no time. We want to help you create a professional look and feel that will help build your brand for years to come.